Police in the town of Sosnowiec have launched a massive hunt after a six-month old girl was snatched from her pushchair. The girl, called Magda, disappeared on Tuesday afternoon after her mother, perhaps due to an attack, lost consciousness. When the woman came to she found the pushchair empty and raised the alarm. Police have called for witnesses in the desperate hunt to find the missing girl, but at press time have had little luck. The mother, who said she was attacked from behind, has been unable to provide information on the kidnapper other than he was tall and wore a hood. He added that police were examining CCTV footage, which appears to show a man following the mother but it was unclear whether he was the kidnapper. Police also examined the statements of Madga’s parents and said they were both “credible”. Investigators have so far been unable find a motive as to why anybody would want to kidnap the girl, and the possibility that she was snatched to be held to ransom is dwindling as more time passes with no communication from those who took her. Magda’s father said since his daughter went missing he had received scores of offers of help from friends and strangers. In an effort to find the missing girl, authorities have offered a PLN 10,000 reward, and that amount is set to grow following public donations. The television news programme Kontakt 24 said donations from individuals and companies may have raised the reward kitty to between PLN 50,000 to PLN 100,000. When she went missing, Madga was wearing a beige combination suit and was covered in a pink blanket. Police have asked anybody who was near ul. Legionow 18 on January 24 and saw somebody with a baby to contact them immediately. I have had a request to look at Tarot for this little Baby and this request has just shown up so I will prioritise as it is a request personally to me - 'Magda' who went missing January 24th and all the information regarding this is above. I am not sure of her surname so I will just have to refer to her as 'Baby Magda'. Tarot can give glimpses of past present and future and sometimes do 'its own thing' telling us things that I have not asked for but whatever I get I just write it down. Tarot cannot be considered 100 per cent accurate by LAW but it has often helped with various bits of information and Im hoping something shows up that might help this child and her parents. First thing I have for Magda is 9 of cups and the first connection is emotional and 'water'. This set of cards shows Magda being taken away from a familiar situation but the water pull is strong. The 9 of cups can show someone either drug induced or 'out of it' which somehow shows the condition that is written about the mother when this girl disappeared meaning that her mother was not concious of the fact. The 10 is showing the child being seperated from her home/normal situation and not sure I like the page of cups reversed. I am seeing water water and nothing but. The information that cups gives...and remember this is TAROT and not FACT is that there is some kind of altercation or disagreement possibly between three people maybe even women? something offered and refused and then it seems a lack of forgiveness and a place near water/bridge and some kind of sorrow here. I dont see anyone hitting anybody but that does not mean it is not right but what I see is an M or a W and I am seeing a lack of feeling here and a disunion between two people. I am just writing what I see. There is a man here who may be 32 or under and he might have presented himself as friendly or nice but of course he is not , he cant be trusted at all. He may have had something to do with the disappearance of this child and may have some kind of romantic inclination towards somebody . I dont know if this is a stranger or an ex lover or someone known but there is someone unscrupulous in the picture. 9 of cups can sometimes represent water places and even drains or the feeling of being drained. The end cards are suspicious activity around a female who is very insensitive and again a male and the feeling I have is desperate acts. Deceit and roguery can come up on these cards regarding kidnaps. The card is West or can come up with a WEST name. A 9 or a 6 might figure and Im seeing a lack of material goods and money along with deprivation and illness. There is also a sense of trickery and fraud from someone here and Im getting 'third party' being shown to me. Im also getting someone who is a double dealer, crafty violent and scandal attached. Not sounding great is it? This is a very brief overview in order to put out some information hoping something helps and this next card is to try to ascertain a little more about location if possible. This little girl might be wrapped in a blanket again a 6 or a 9 is here so that must stand for something whether a road route or door number or something nearby. Again another card which can represent an area with water stone or rocks in the vicinity. NOTE this is a bedroom scene and suggests that nightmares are over? Over for who? Thats the question. This case might be resolved as Im writing it I am not sure, but what I will say is there is a great catastrophe here and it needs to be resolved quickly as there is a big danger in these cards. There is a rival here, a rival lover or someone third party and I think they have intervened somehow. I could be wrong and always accept that but here we have a wish to travel somewhere with this child railways hills and some kind of travel system are here. If there is a partnership break it might all boil down to this child disappearing, I dont quite know why but I just write what I get. The King of Swords is showing me a lack of evidence so unfortunately if this child is not found soon then theres going to be trouble if they do find evidence. Right now, evidence is not showing up as to where she might be or other things. But according to tarot Im getting something about a 'release from prison' so she is either in a container which could be anything even a chair seat shes sitting in or she is sitting in something. I also see there might actually be a correction center in the vicinity or some kind of prison or institution here. The card is normally East or has an East name but basically its between East and West in the cards so far with the same numbers attached. I see a divorced woman here I actually see two people who might be found the same time not always the case in the Queen but possible. I will just mention airports/hills travel once again here as I know I have mentioned this either before or after popping in here. I also see jewelry or something silver here or something shiny. The Knight makes me feel that military is here and they are going to breeze in on this one or that there is some kind of nearby police/military place. I also feel that theres something very swift about this case and wondering as I write what the current status is today. I see some internet work here and a computer and posting there so as the page is reminding me about witch hunts it can mean the person is found or that a computer has something to do with the entire situation somewhere. I feel the child was taken but I think there might be a return of this child. Is there a grandmother or grandfather in the vicinity of this child? I feel the loss of this child has greatly upset an older person meaning much older? Sometimes 'tunnels' can come up with the 9 of swords but bedrooms do also and thats a strange thing to have when asking about location. Was the baby ill at any time? Im getting the colour YELLOW strongly here. Did something happen in the family in JUNE last year? Getting some kind of connection to that. If anyone is suspicious of someone and they have a someone in mind, then they have a reason to be suspicious because they are a very doubtful person. If the baby is not found soon some awkward questions are going to be asked here and if the baby is not returned this could be a painful search. Swords are cutting, they represent that and that is never a good thing except when they are cutting to the truth and there seems to have been an argument that might have balanced itself out now but has created this seperation and that third party seems to be here so is this between three people? Regardless of whether there is money involved or not, it does not show here in this tarot as I have no pentacles to back that up so Im not really feeling at the moment that ransom was the reason. It looks like an angry emotional circumstance to me but as I say this is a brief overview and I might have it wrong. Time will tell. Difficult card when it comes to asking when the baby will be found, if she has not been found now then there are delays here for up to six weeks . There is a feeling of 'out of town' on this card West seems to be the direction that this charger (although Wands are generally South but it is a reversed card ) is going in away from shops/buildings etc. and a feeling here of being overwhelmed and beaten in the search. 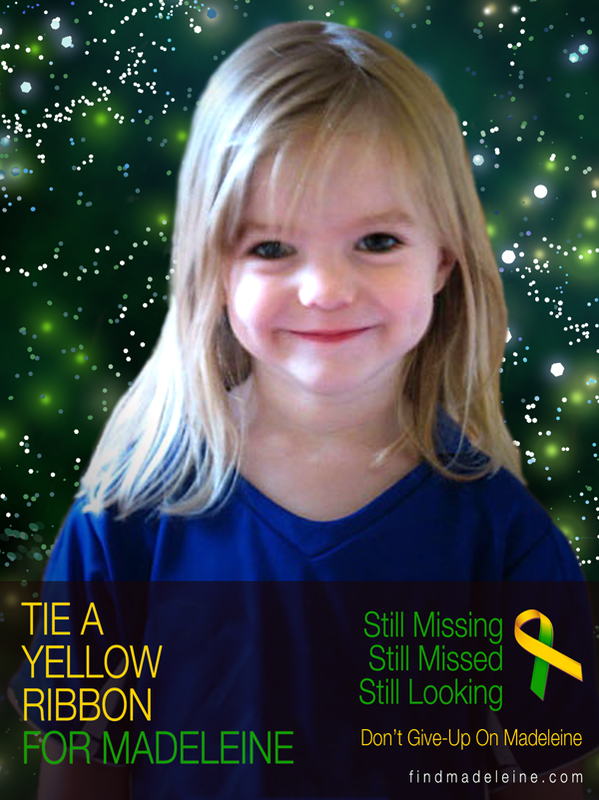 I am wondering if we will even find out whether the child is found or not even when she is. Obviously I would be pleased to get to know as I really dont like children disappearing as they are taken away from natural motherhood. This card shows that there are some indecisions here and lack of opportunitites. So either she is found or there are more opportunities to find her in the next 6 weeks. Note that SIX again its appeared three times already and reversed is a 9 so 9 and 6 . Two people hold the key to this child so hopefully it will boil down to that and she will be recovered. However, how this ends right now is difficult to say because wands are horrible cards reversed and they can show being attacked or big delays. Incidently that delay on finding this child could be extended to a longer period it all depends if I was truthful but I give that as a starting point if she has not been found as I write this. Someone might have a white car. East or West and one of them is likely a direction and the other the name of a place or road comes up as does the sun. The sun is reversed and shows problems with a family and also I see some hidden things here. I see someone with a skin problem or rash not sure if that has anything to do with things. I also see a wall and a garden but some kind of connection out of town? This child could be found with hard work. Look at all working environments connected around or to people even those close and a sense of infinite delay either in finding anything out if Magda is found or indeed that might refer to finding her. I have given a brief on this but I am feeling 'heat' and fire so it is an intense situation to say the least. If Magda is not found within six weeks I will come to look again. I am seeing the colour red here.Also something about a hotel or even a property here might come up. The month of August comes up with six of wands. Again I cannot guarantee all the insights will be absolutely correct to the detail but perhaps there may be something useful here. 6 days ago – The mother, Katarzyna Wasniewska, claimed she had been attacked on January 24 in Sosnowiec, southern Poland, and that the baby, Magda, ...body found near railway Track. Flowers, teddy bears and candles piled up Monday in a southern Polish park where a mother buried her baby and then sparked a nationwide search by falsely claiming she had been kidnapped. Initial autopsy findings showed that 6-month-old Madzia died of blunt injuries to the back of her head, according to Marta Zawada-Dybek, spokeswoman for the case prosecutor. The child's 22-year-old mother Katarzyna Wasniewska was arrested Saturday after she said that the baby had died when it slipped from her hands and hit its head on the floor. Zawada-Dybek said the initial autopsy findings did not conflict with injuries that could have been sustained in the mother's version of the cause of death, but more tests and expert opinions were needed. Wasniewska could face five years in prison on charges of unintentionally causing Madzia's death, if convicted. On Jan. 24, Wasniewska claimed she was attacked in the street in the family's hometown of Sosnowiec and the baby taken from her. A nationwide appeal was made for clues and witnesses, and the child's family posted leaflets with Madzia's picture around the neighborhood. The case was widely reported in Polish media. HERE ARE SOME OF THE REPORTS I WAS RECEIVING ABOUT THE SITUATION. TVP Info reported that the half-year Magda was dead. Information about this gave the police detective Chris Rutkowski. The bodies of the girls were found under a tree at Black Przemsza, near Huta Buczek. Magda's mother admitted that her daughter died as a result of an accident. Said Chris Rutkowski, the child's mother had come off of hands and hit the threshold. Being in shock, Catherine W. put a child into the truck and drove to the river. Woman hid her daughter remains in place, which today pointed Rutkowski. Currently, the police protect the area indicated. Catherine W. was detained and questioned by officers. According to Rutkowski's father was not aware of the tragedy. On Wednesday, underwent polygraph examination. Detective said, the outcome of the study was "nieodbiegający from the norm, so a positive result for Bartek". Mother did not agree with the study. On Tuesday, January 24 just after the hour. 18 ambulance dispatcher on duty informed the police Sosnowiec about a young woman who, at ul. Legions lost consciousness. The 22-year relationship sosnowiczanki indicated that most likely was assaulted, and when he awoke, said the disappearance of her stroller 6-month daughter, Madeleine. Sent immediately to the place of all available forces. Apart from Sosnowiec police officers, to large-scale exploration joined uniformed security sports event of the Katowice branch of prevention. Scoured a large area around the emergency site, park and nearby blocks. Parents were interviewed. The case also involved a detective Krzysztof Rutkowski. Last Sunday, in all Sosnowiec churches, priests urged to pray and help in the six-month search for Magda. Disappearance of the girl was interested in all of Poland. UPDATE - the child is still missing. The body hasn't been found. The only thing were the baby clothes lying under the tree (pointed by mother). Mum's story doesn't seem to be true and Polish police is still trying to get some info from her! Thank you Empathy for your kind words and job you're doing here. Well..this case is getting more and more bizarre. I wrote here yesterday that Magda is dead, but now she's still missing. The mother did admit the child died as a result of the accident and that she hid her body, though police didn't find the body. They only found the winter jacket, but it was said that it's too big to be the jacket of a dead child. Who knows what we will find out tomorrow? I will post any news should any occur. I'm really sorry to be a bearer of bad news, but police found the body of this child on Friday night. Public prosecutor's office applied for the warrant of arrest for the child's mother for two months on Saturday. The autopsy of the child's body is planned on Monday, because of the fact that the body has been kept outside in very low temperatures for 11 days. She was buried under the leaves and stones in the remains of the old building. The mother still claims that Magda's death was accidental, but we should wait for the autopsy's results if it would be possible to determine the cause of death. I can't imagine how Magda's mum could leave her body there, I really can't...even if she couldn't feel the cold, because she was dead, but still..
Update: I can't keep up to speed with this case, everything is going so fast..Magda's mother has been arrested for two months by the court on Saturday night. She's been accused of her child's manslaughter and she did confess. She can be sentenced from 3 months to 5 years imprisonment. Time passes, and a breakthrough in the investigations to determine where the kidnapped Madzia (6 months), there is still no. They appear in the media as a suggestion that parents are hiding something. In order to address them, Detective Krzysztof Rutkowski suggested Catherine (22 l) and Bartholomew (23 l) Waśniewskim polygraph examination, the lie detector. We both agreed. A man in a white jacket, which on loss Madzi (6 months) recorded security cameras, hovering close to a girl before. First recognized him John W., the girl's grandfather. He remembered him as her father Bartholomew Wasniewski (23 l). The child's family informed the police about their observations. Today is exactly a week from six-month kidnapping Madzi from Sosnowiec. In the search for abducted children are involved police officers from Sosnowiec, parents, family Magda Wasniewski and private investigator Chris Rutkowski. There is still no breakthrough on the trail, but the police managed to make a psychological profile of the kidnapper Madzi. 6-month old girl can take a young man, who lived close by and looking for victims. It is possible that the kidnapper abducted Magda, because experienced some unpleasant or even tragic experience. The mysterious disappearance, frantic searching and despair of their parents. And there are similar names. Madzi Kidnapping Case (6 months) from Sosnowiec is very similar to the disappearance of Madeleine McCann British (4 liters) in 2007. SOSNOWIEC: Kidnapping SEMI Madzia - sketch of the kidnapper. 10 thousand. ZL PRIZES from SE - PHOTO upload to Facebook, help us to look! Waśniewskich family drama has been going on the third day. Where is Magda (6 months)? This raises the question not only the family but hundreds of people involved in the search. On Tuesday early evening half-year old girl kidnapped from a wheelchair unknown perpetrator, before overpowering her mother. Child is looking for the Sosnowiec and the police. For giving information which could assist in locating the child "Super Express" set 10 thousand. zł prizes. Police trying to find a man who according to his mother following her a long time. Details about his appearance is not enough. Tall, slim, white jacket, black pants and a hood on his head. This little baby was found fairly quickly and unfortunately she was found deceased. I was in two minds whether she was already found as I must have sensed it was going to happen soon, but interesting that I also saw possible delays . I am feeling now that is going to be likely to do with the REAL story of what happened to this girl. News reports were pretty scant which made it difficult to know what exactly was going on in this case but I did have a reader who sent me comments and I want to thank her for those as it was helpful. Though there may be more of a backstory to validate other parts of the Tarot but I really have not seen any further reports so I dont really know if we will know all the details. However, in its subtle way Tarot did seem to see that the story was bogus as the little baby died 'accidently' at the hands of the mother who then took the child and buried it in a park under stones and rocks. There were various reports about the baby being under a tree near water and near a building but in honesty I really do not know the point on the Map where the child was found. What I do know is that Tarot did identify a fair bit of the situation and if Tarot can help in some way then it has served its purpose. The Mother has gone to prison. It was also FEBRUARY 6TH that this child was reported as being found. She was also found by a railway which Tarot seems to have picked up. I find the report mentioning three people interesting, as this was not known at the writing of Tarot - and Tarot indicated something bogus about a third party reference. Question is, do they really know what happened to Magda or will more truth surface? I knew it was all a fabrication when i was writing the Tarot. It did not make sense about the attack as there was othing really to substantiate it. They must have taken the baby away. Poor little kid. I thank you so much for being so kind and posting this news as I likely would not have found out and I appreciate your time and effort in coming here. Thank you for the updates as I would not know the latest news without you and appreciate this greatly. If the mother pointed out the clothes then we can be sure she will know what she did with the baby. The mother has obviously lied in the first place because the truth is too much. It will all come out in the end. I will see if I can look at the tarot again for more clues. If you have any further updates please let me know and once again I am very grateful for you taking time to come here and post. The thanks are from me to you Majouka for keeping me up to date. Well its very interesting thats for sure. I know from Tarot that the police are going to be all over this case and very quickly. I dont know how this will turn out but I think Tarot has provided a very good guide so far as it seems that some parts of it are showing up by your reports. We shall have to see what occurs here and please keep in touch with me if you get any news I am very grateful to you. Thank you for posting Majolika. Please keep in touch wont you and let us know what is going on. I can see that the goalposts keep moving but every piece of news is very gratefully received. Kate this case of this baby I think has been resolved insomuch that Im sure the baby was found decesed. I am not up to spec on all the up to date news though I have printed some. I will try to get to look as soon as I can but basically once the child is found my part in the case is over as it then goes to criminal investigation if its a suspicious death. Tarot does not deal further in the matter. Thank you for writing though and I will check all the same. Thank you for your reply and help in this case. I've been trying to prepare a brief "report" of all the important events to keep you up to date. As soon as I finish, and I believe it will take a week or so, I will send it to you, no matter if it can help or not :].